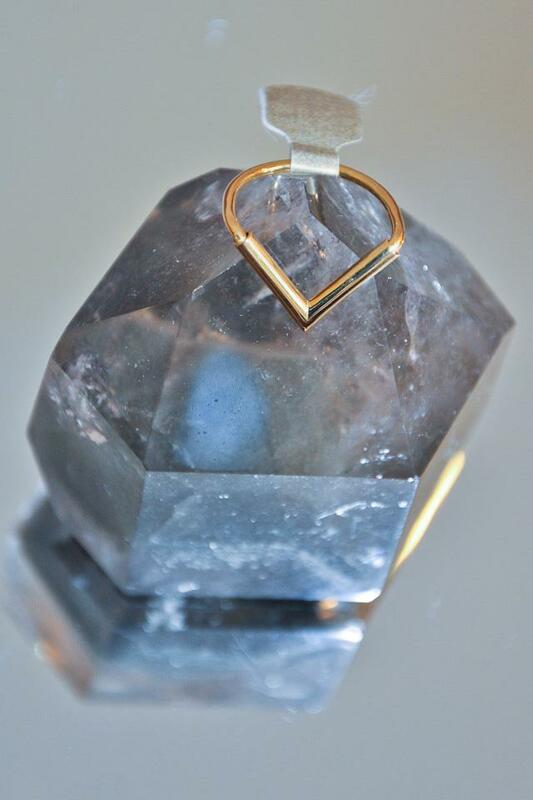 Continuing on the 'Point' theme, this lovely ring by Karin Andreasson has a large Point charm on an a simple band. Thickness of band measures 1.5mm and charm 1.5cm x 2cm. Shown is the ring in 14kt gold plated Sterling silver finish.